We've been testing processors for decades and know how to interpret specifications and read through results to tell apart better value options from the countless choices available. AMD's newest mid-range processor offers exceptional performance for the price. It's also unlocked — perfect for overclocking — and even comes with a decent stock cooler. The only drawback is the number of cores and threads available. Ryzen 7 1700 is a performer. It's a solid choice for gamers and power users alike. You'll be able to stream, edit video, and more with 16 threads, but you'll be choosing an older, more expensive processor that is slightly less capable than the Ryzen 5 2600 in single-core tasks. Choosing between the two AMD processors depends on what you plan to do with the PC. If you're only going to play some games and do some light productivity, you're better off saving money with the Ryzen 5 2600, but the Ryzen 7 1700 isn't a bad decision if you're set on more processor cores. Even though the Ryzen 7 1700 is an older processor, it's also more powerful in multi-core applications than the 5 series of Ryzen CPUs, which almost equals everything out when you compare specifications. After analyzing the numbers, you'd be tempted to assume there are very few differences between the two and you'd be correct. The major ones are the cores, threads, and available cache. While the Ryzen 7 1700 has the upper hand, it's not an immediate loss for the Ryzen 5 2600. 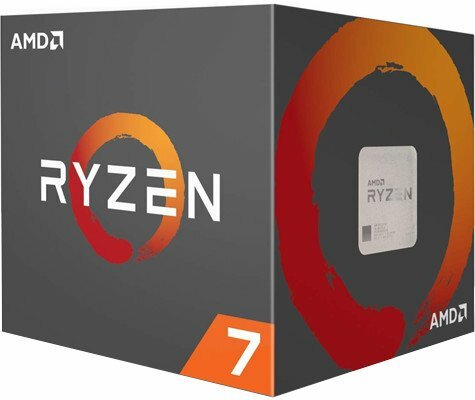 Not only is the Ryzen 5 2600 a full $40 less expensive, but it's also a newer processor that utilizes a smaller manufacturing process and supports faster RAM. You'd likely fail to notice a difference in the majority of games you may play or tasks to complete. Saving the $40 would allow for an excellent aftermarket cooler to be purchased and the Ryzen 5 2600 overclocked for additional performance. It's only when you use video editing software and other processes that truly take advantage of the additional cores and threads that you'll see notable improvements. 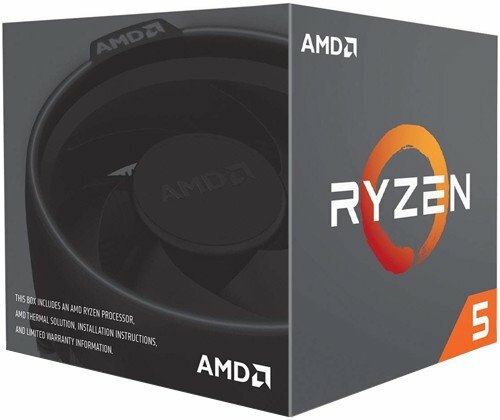 Running both processors at stock settings would see the Ryzen 5 2600 hold its own with the signification bump in both base and boost clock speeds. The latest tech, innovations, and improvements have been added to the Ryzen 5 2600 to make a superb mid-range processor. It offers everything you require for gaming and productivity at an affordable price. If you're putting together a new PC and you're after an AMD Ryzen CPU, the Ryzen 5 2600 truly offers the best bang for your buck. There's even space for some overclocking, allowing you to push the processor up to 4GHz and beyond with adequate cooling. It'll suffer under intense workloads, however. When six cores just aren't enough, you need more performance. This is what the Ryzen 7 1700 offers with a total of 8 and 16 threads. This makes it more of a match for intense applications. You'll find that the 2600 may hit a wall if not overclocked, but the 1700 has a higher ceiling out-the-box before you need to overclock it. The Ryzen 7 1700 is a powerful processor, rocking 8 cores and 16 threads. The only drawback is that it's an older processor and is on par with the Ryzen 5 2600 in apps and games that don't use cores efficiently.